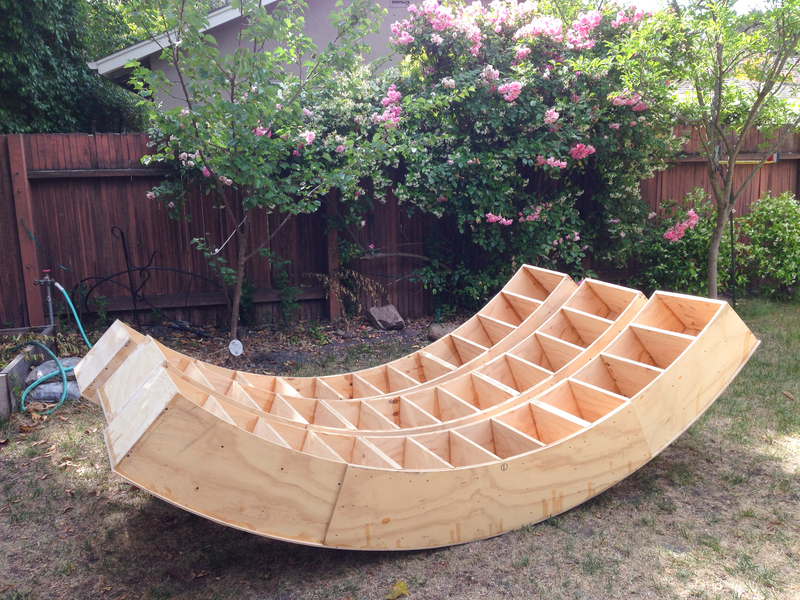 One of the challenges of building something big is finding a flat space for assembling final elements. It’s not hard, just time consuming. Prepping the 4x4s in the driveway. Now I am ready to lay out the plywood floor. 4 Quarters lined up for final gluing. Here they are flat and aligned, so that the lateral supports can be epoxied and I am sure that everything will fit together later. First layer of skinning with 1/4 inch plywood. I have a large stack of 16 foot 4x4s in the back yard that I break out when I need a flat space. 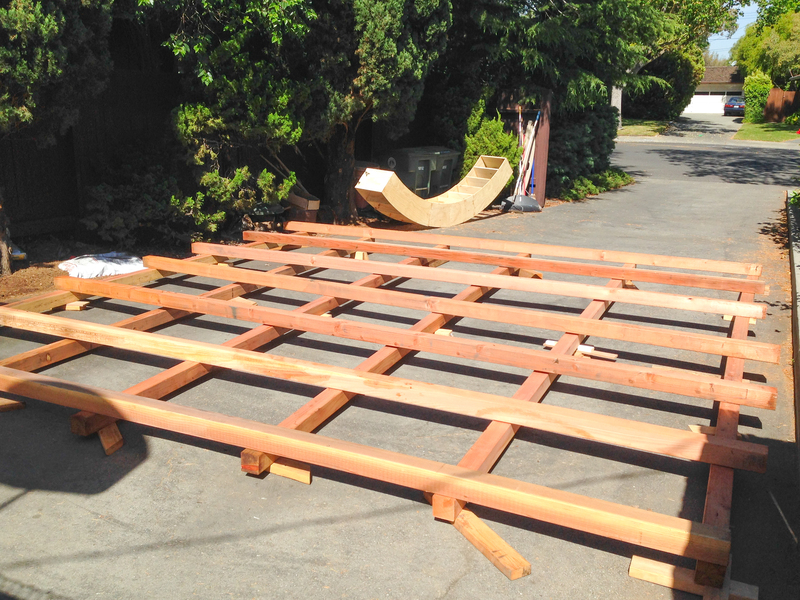 A few dozen shims and some 1/2 inch plywood later, batta-bing, you have a flat surface big enough for a 14 foot donut or two. 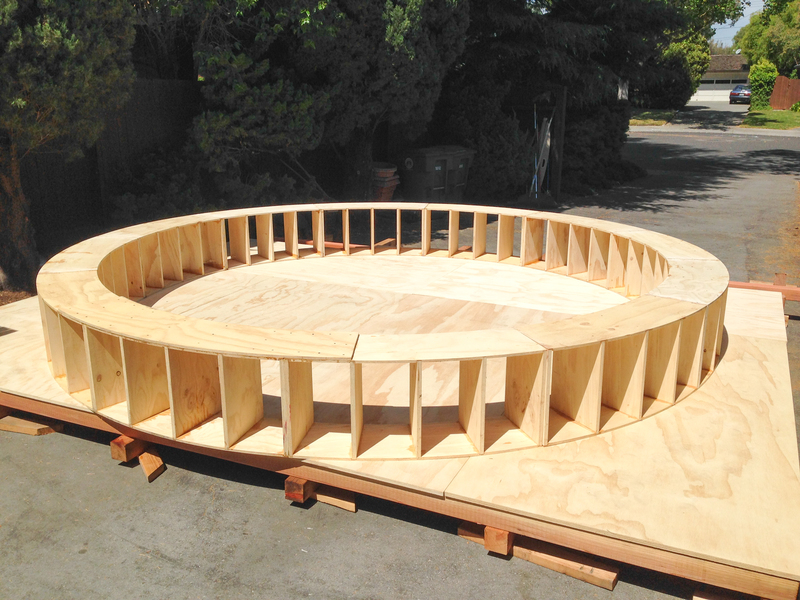 Then it’s time to glue and screw the subassemblies together to make the donut quarters. Disassemble, and do it again. I am a big fan of “big”. It is so much fun to plan, build and put these things together. 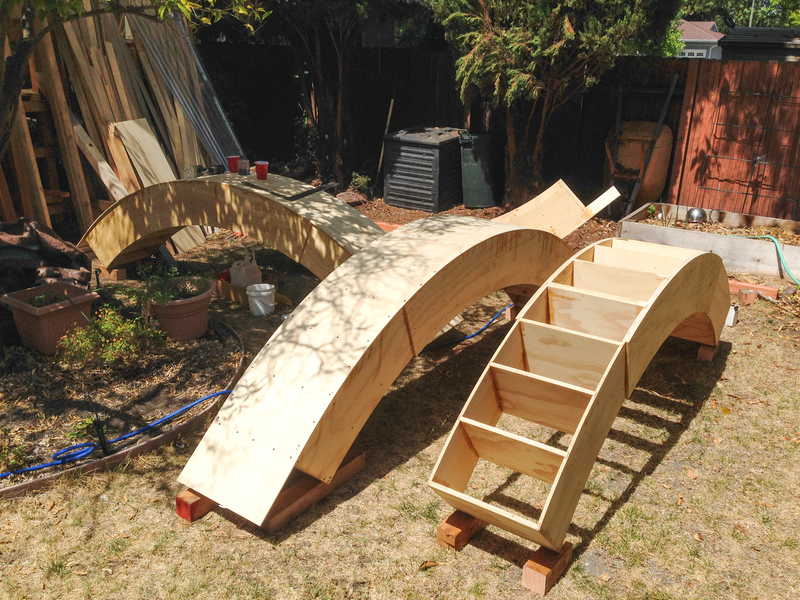 Its all joy: nice day to work outside, music playing, not too many hours with the respirator on, and in the end… 8 giant donut quarters all my own. Lol.. Happy Father’s day, Looks like you need to get some landscaping done.. har har.